The Internet of Things (IoT) is set to radically change office life. 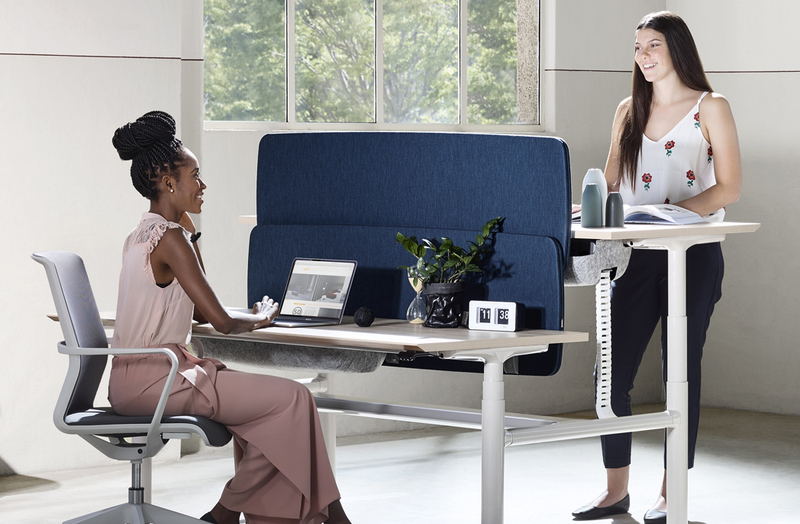 With cloud- connected furniture beginning to penetrate the workplace, architects and designers are now starting to recognise the possibilities of a workplace where everything from a desk to a chair can gather data and intelligence that improves our working lives, writes Bob Stewart, head of research and development at Zenith. It goes without saying that offices have rapidly evolved over the last few decades. With developments in technology moving at a faster rate than ever before, the power of a collaborative, smart environment – where many aspects of an office space are data-enabled and driven – can help businesses to drive efficiency, cut costs and boost employee effectiveness and productivity. to the internet. In an office setting, this includes everything from mobile phones to desks, thermostats, white boards, meeting rooms, lounges, photocopiers and almost anything else you can think of. The data collected from these devices can be used in myriad ways and empower employees to have greater control over their workspace. For example, IoT can detect whether employees are more productive and engaged when working in teams or individually and can track space utilisation at desk level, as well as occupancy and utilisation of meeting rooms and collaborative spaces. In short, it can help businesses glean information like never before. According to one workplace study, 70 percent of employees waste 15 minutes per day trying to find a work area. With more and more companies utilising hot-desking, that’s a lot of minutes wasted annually as a nation. But imagine if you could walk into an office, power up an app on your phone and easily find not only an available workstation from which to work, but also gain advice on the most appropriate building to work from based on your work task, personal access to colleagues, need for meeting rooms and integrated technologies. booking is another area we are exploring. Many people want to work with colleagues in their team, but in a hot-desking environment that can often be a challenge. to book a cluster of desks so that you and your colleagues can work together for a day, a week or longer depending on your needs. While we are just seeing the start of the benefits IoT can bring to the workplace, it is already allowing workers more mobility and freedom. 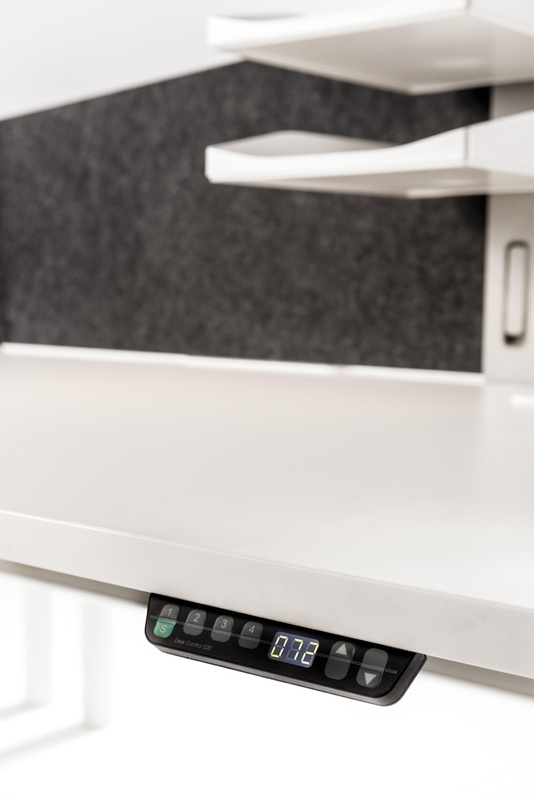 For example, you can control our electric workstations via a mobile phone, laptop or tablet via an app in order to move the worksurface up or down. They also prompt you to stand if you’ve been sitting down for too long and give you feedback at the end of the day and week on how active you have been, allowing you to adjust your habits accordingly. Architects and interior designers are increasingly requesting IoT technology to help better design working environments, know employee preferences, behaviours and other useful statistics. It’s an area where Zenith is making investments in research and development with market-leading innovations to come. This article originally appeared in inside 105 – available online and digitally through Zinio.